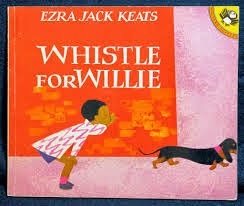 During the week of March 17-21 first graders read a story by Ezra Jack Keats entitled Whistle for Willie. In the story the little boy, Peter, wants to learn how to whistle so he can get his dog to come to him. The boy’s pet, Willie, was a dachshund. Mrs. Burt and her husband have a pet dachshund named Symon that looks identical to Willie. 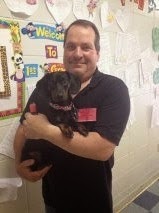 So to close the week of learning Symon and Mr. Burt came to visit the children on the first grade hall.